Prakash Belawadi in a still from ‘Mysore Masala’. So, does your film have aliens?" In response, Ajay Sarpeshkar points to the poster he has just given me. 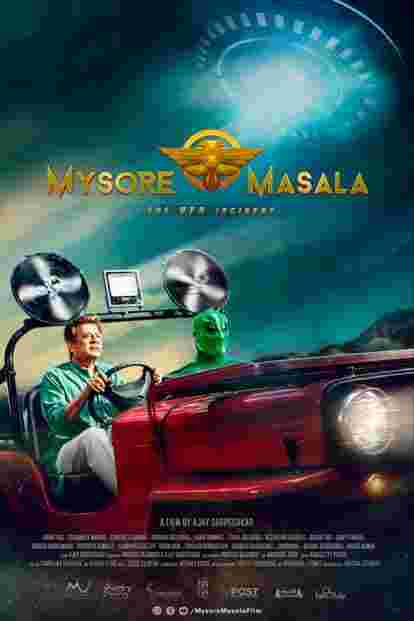 It shows an open-topped car being driven by a man played by veteran Kannada actor Anant Nag—and there, next to him, is a green humanoid that pretty much sums up an average person’s image of an “alien". Films like the 2016 Arrival have expanded our visual vocabulary of what aliens may look like, but the “green men of Mars" from comics and early science fiction, like Edgar Rice Burroughs’ A Princess Of Mars (1912), have always ruled popular imagination. Sarpeshkar drew the poster by hand over two years ago, and in a Facebook post, he talks about seeing the vision translated into film. “On the left is a scribble I made 2 years ago, riding on a stream of thought. On the right is the universe, colluding to materialize the vision. When it happened in reality during the shoot, I marveled silently, standing in a corner looking up at the sky," the post says. But is the alien “real", or a manifestation of humanity’s fear of the unknown? Sarpeshkar is not telling. “The film is a science-fiction drama, which stays real to the science-fiction part while not becoming too dark. It was a challenge to balance the tonality but there are precedents—think Indiana Jones or Stranger Things," says Sarpeshkar, a first-time film-maker with no previous experience of making a full-length feature film. Having completed his engineering degree in India, he moved to the US where he was working in the tech industry till very recently. A love of photography and film-making led him to making short films and ads. Two years ago, the idea for Mysore Masala hit him, and he started writing and visualizing the story, travelling often to India to talk to actors, producers and technicians. Earlier this year, he quit his job and set up a semi-permanent base in Bengaluru. His only connect with the entertainment industry was his cousin Sharanya Ramprakash, a Bengaluru-based theatre actor-director. The only thing Mysore Masala director Sarpeshkar reveals about the plot of the film, whose first teaser trailer was shown last month at the Bengaluru Comic Con, is that it is based on the basic premise: “What if a UFO crashes in India?" We laugh about the fact that in most Hollywood films about alien visitations to earth, the alien spacecraft inevitably lands in the US, the cultural capital of the known universe. Of course, there’s Satyajit Ray’s famous short story, Bonkubabur Bandhu (Banku Babu’s Friend), which deals with the same premise and even has a character scornfully ask the protagonist why an alien spaceship would land in a West Bengal village rather than New York, London, or at the very least, New Delhi. It came close to being adapted as a Hollywood movie but was dropped after years of deliberations (read more about the saga in Travails With The Alien by Ray, published by HarperCollins Publishers India in April). Sarpeshkar is not familiar with the story, though he is excited to learn that he had a similar idea as polymath Ray. “Humans are explorers. We are always asking ourselves, ‘Does the universe have a plan? What is my role in it?’ Mysore Masala is a result of this fascination," says Sarpeshkar. One role Sarpeshkar seems destined to play is that of one of the few makers of a Kannada science-fiction film. There have only been a handful of attempts so far: The 1997 Manava 2022 about a team of scientists bringing a dead man back to life using a special “formula"; the 2002 Hollywood, which starred superstar Upendra as “US 47", an android; and Tora Tora (2017), plotted around time travel. “Few of these films fully explored the ‘science’ aspect. In Tora Tora, the sci-fi element was a MacGuffin while the film is actually a comedy," says science-fiction columnist Gautham Shenoy. “All science fiction ultimately comes down to the ‘what if’ question, and you don’t need a big star cast or a massive CGI budget to do this," adds Shenoy. The relatively low-profile horror-fantasy Tumbbad “blindsided" him recently with its sophisticated storytelling and credible horror. “One hopes Mysore Masala fits the same mould—a small film that works irrespective of language or theme; one that you don’t have to make excuses for," says Shenoy. 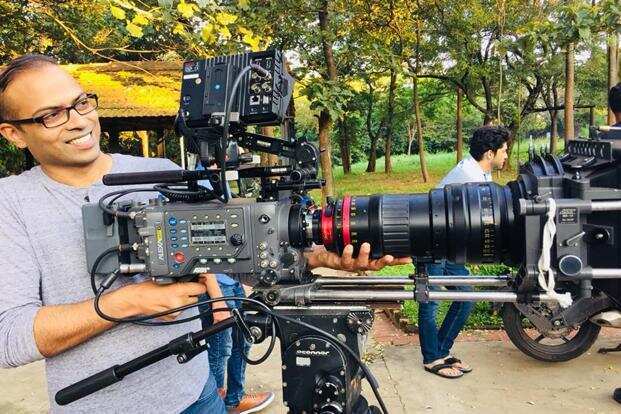 Prakash Belawadi, Bengaluru-based theatre actor and director who has acted in several Bollywood films recently such as Meri Pyaari Bindu, Talvar and Wazir, was one of Sarpeshkar’s mentors. Initially roped in as “an avuncular consultant", Belawadi ended up playing a major character in the film, besides refining the script and helping Sarpeshkar figure out the ins and outs of the industry. “I was straightaway interested in the project. It would be a breakthrough attempt in Kannada cinema, I felt," says Belawadi. Though mainstream Kannada cinema is still very much a creature of the box office, with formulaic films that lean heavily on toxic masculinity and a melodramatic sensibility, independent film-makers have made successful attempts in the last few years to attract a new, Netflix-y audience, starting with 2013’s Lucia, a crowd-funded project that did well critically and commercially, followed by Thithi (2015), Gaali Beeja (2015) and Attihannu Mattu Kanaja (2014)—all made by first-time film-makers about unconventional subjects. Belawadi says the current global obsession with science fiction and alternate realities was bound to come to Kannada cinema too. “It is an inevitable response to the way the world is today. Intelligent people everywhere are disgusted with the way the planet is being treated, and creative, sensitive people are responding to it," he says. He feels that Mysore Masala has broken stereotypes, especially by placing women in critical roles—well-known Kannada actors Sharmiela Mandre and Samyukta Hornad are part of the project (one of them plays a rocket scientist who may or may not have been abducted by a UFO, as per the gossip in Indian sci-fi circles). Mysore Masala, funded by Sarpeshkar himself with help from friends and family, is expected to release in March-April 2019. The film-maker is optimistic about it being only the first in a series of films in a new cinematic universe. “We need our own superheroes," he says. Like Krrish? “No—definitely not like Krrish," he says.